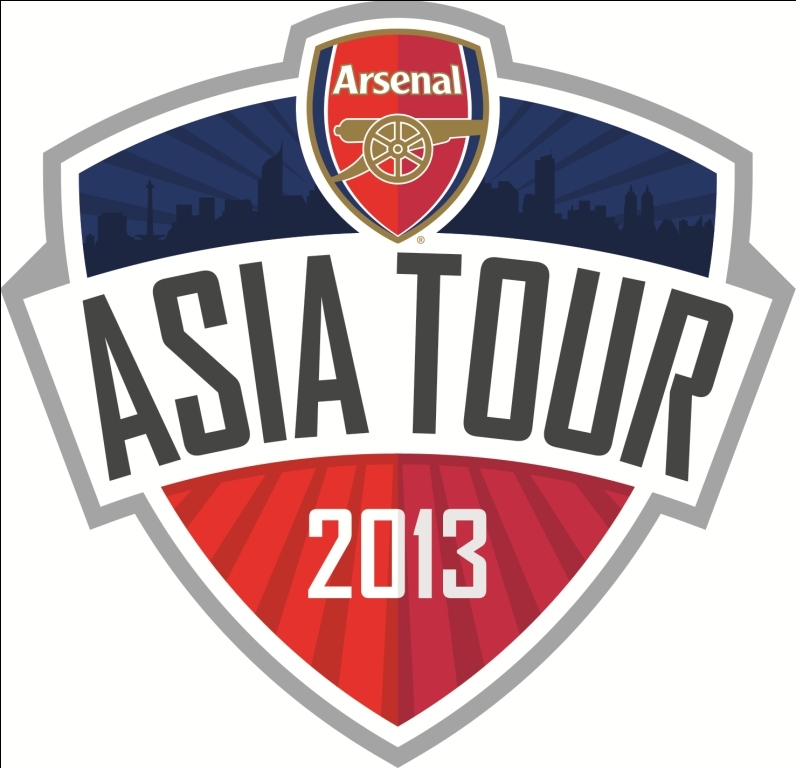 RCTI Arsenal Tour 2013 will be held on 14 July 2013 in Gelora Bung Karno Stadium. Yesterday, M-Pro Sports & Entertainment announced the ticket prices for the match. There are 2 phase of sale, presale and normal price. Presale start on 7 April 2013. For one month (7 April – May 2013) tickets can only be obtained exclusively for Telkomsel users by redeem their points. 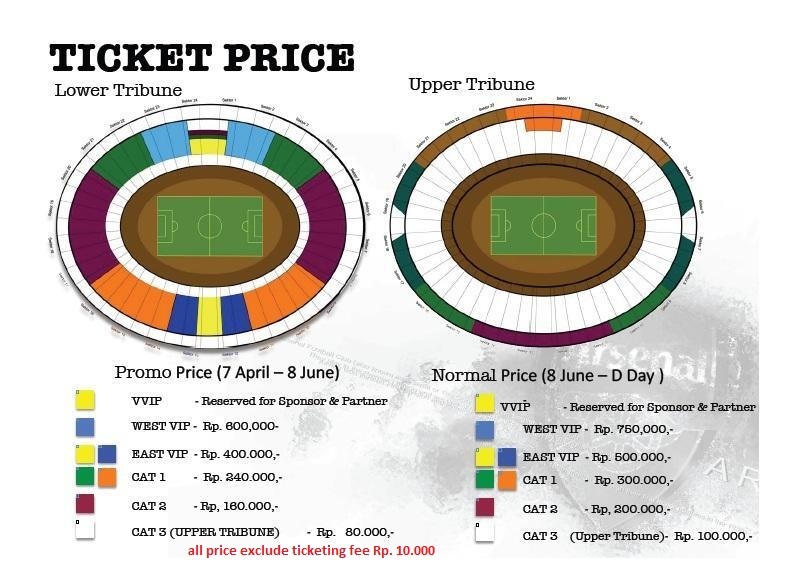 From 8 May – 8 June 2013, presale ticket available to general public at m-pro.co.id, expresslive.co.id and other ticket box. From 9 June 2013 until match day, regular price ticket available in all ticket box and partners. 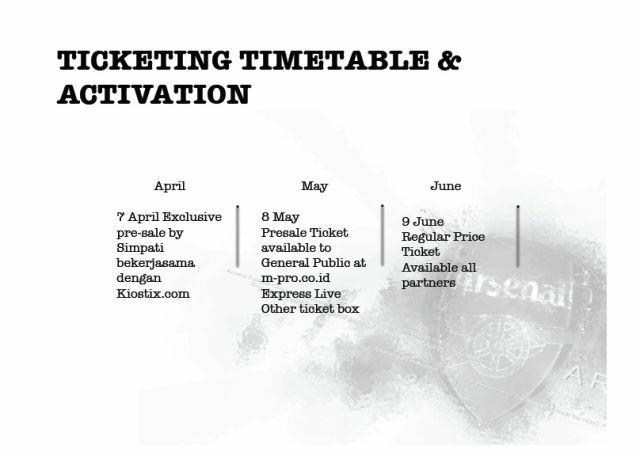 The promoter will also provide a special sector in cooperation with Arsenal Indonesia Supporters (AIS). Check this link for information about Telkomsel redeem point.